CHICAGO (WLS) -- Open containers could soon be allowed outside at Navy Pier. 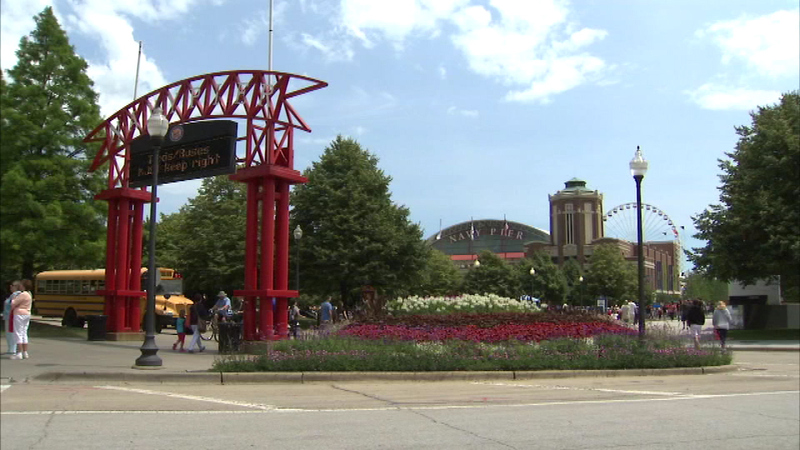 The Chicago City Council is considering an ordinance that would permit customers to carry alcoholic beverages between attractions inside the venue and outside. Currently, drinking is only allowed when seated at a licensed establishment or on outdoor patios.